If you have ever had a desire to be a script writer, or you already are and have a short play script idea you think is a winner, if you fancy hearing your words read by professional actors, or you just have a story to tell, then ‘First Heard* Shorts’ is a competition with your name on it. The competition has been organised by local writer and script developer, John Knowles, in support of The Hastings Fringe Festival. John is a prolific writer and producer and despite his busy schedule, continues to support local writers and theatre projects. 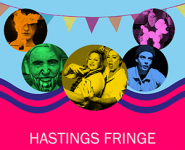 The second Hastings Fringe Festival will now take place from Tuesday 30 August until Sunday 4 September inclusive. The decision to extend the programme was made as a result of the high number of performers who responded to call-outs to take part in the performance arts festival. 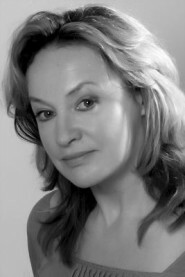 Do have a keen interest in the performing arts? Enjoy meeting the public? Would you like to be involved in helping to make Hastings Fringe Festival a roaring success? 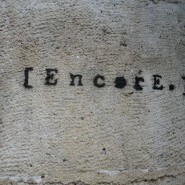 This exciting and innovative multi-art programme is taking shape. If you have some free time during the first week of September 2016, then the Fringe team need your help! HOT’s Sean O’Shea places the spotlight on Hastings Fringe Festival organiser Heather Alexander (HOT, Arts & Culture, Monday, Aug 24, 2015). He talked with her about her background in the theatre, her hopes for the festival and her work as a drama teacher with local youth groups. He also interviewed some of the young people involved in the festival.